Cuba is an impoverished island that remains largely cut off from the world and lies about 4,500 miles from the West African nations where Ebola is spreading at an alarming rate. Yet, having pledged to deploy hundreds of medical professionals to the front lines of the pandemic, Cuba stands to play the most robust role among the nations seeking to contain the virus. 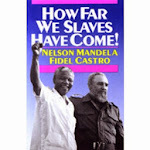 Cuba’s contribution is doubtlessly meant at least in part to bolster its beleaguered international standing. Nonetheless, it should be lauded and emulated. The global panic over Ebola has not brought forth an adequate response from the nations with the most to offer. While the United States and several other wealthy countries have been happy to pledge funds, only Cuba and a few nongovernmental organizations are offering what is most needed: medical professionals in the field. Doctors in West Africa desperately need support to establish isolation facilities and mechanisms to detect cases early. More than 400 medical personnel have been infected and about 4,500 patients have died. The virus has shown up in the United States and Europe, raising fears that the epidemic could soon become a global menace. It is a shame that Washington, the chief donor in the fight against Ebola, is diplomatically estranged from Havana, the boldest contributor. In this case the schism has life-or-death consequences, because American and Cuban officials are not equipped to coordinate global efforts at a high level. This should serve as an urgent reminder to the Obama administration that the benefits of moving swiftly to restore diplomatic relations with Cuba far outweigh the drawbacks. The Cuban health care workers will be among the most exposed foreigners, and some could very well contract the virus. The World Health Organization is directing the team of Cuban doctors, but it remains unclear how it would treat and evacuate Cubans who become sick. Transporting quarantined patients requires sophisticated teams and specially configured aircraft. Most insurance companies that provide medical evacuation services have said they will not be flying Ebola patients. Secretary of State John Kerry on Friday praised “the courage of any health care worker who is undertaking this challenge,” and made a brief acknowledgment of Cuba’s response. 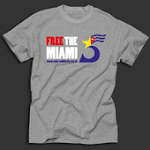 As a matter of good sense and compassion, the American military, which now has about 550 troops in West Africa, should commit to giving any sick Cuban access to the treatment center the Pentagon built in Monrovia and to assisting with evacuation. The work of these Cuban medics benefits the entire global effort and should be recognized for that. But Obama administration officials have callously declined to say what, if any, support they would give them. The Cuban health sector is aware of the risks of taking on dangerous missions. Cuban doctors assumed the lead role in treating cholera patients in the aftermath of Haiti’s earthquake in 2010. Some returned home sick, and then the island had its first outbreak of cholera in a century. An outbreak of Ebola on the island could pose a far more dangerous risk and increase the odds of a rapid spread in the Western Hemisphere. 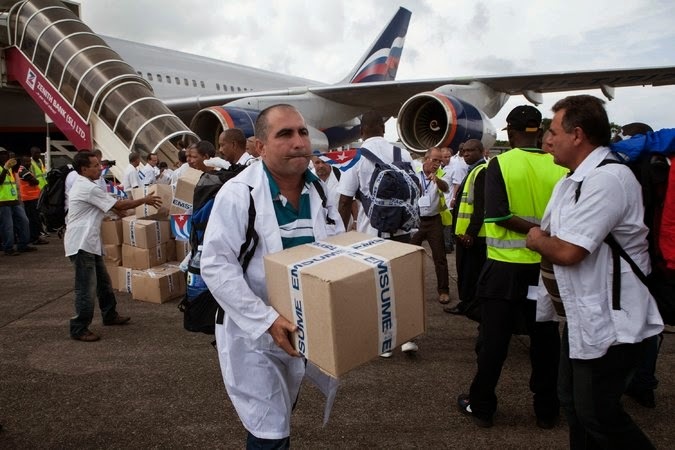 Cuba has a long tradition of dispatching doctors and nurses to disaster areas abroad. In the aftermath of Hurricane Katrina in 2005, the Cuban government created a quick-reaction medical corps and offered to send doctors to New Orleans. The United States, unsurprisingly, didn’t take Havana up on that offer. Yet officials in Washington seemed thrilled to learn in recent weeks that Cuba had activated the medical teams for missions in Sierra Leone, Liberia and Guinea. With technical support from the World Health Organization, the Cuban government trained 460 doctors and nurses on the stringent precautions that must be taken to treat people with the highly contagious virus. The first group of 165 professionals arrived in Sierra Leone in recent days. José Luis Di Fabio, the World Health Organization’s representative in Havana, said Cuban medics were uniquely suited for the mission because many had already worked in Africa. “Cuba has very competent medical professionals,” said Mr. Di Fabio, who is Uruguayan. Mr. Di Fabio said Cuba’s efforts to aid in health emergencies abroad are stymied by the embargo the United States imposes on the island, which struggles to acquire modern equipment and keep medical shelves adequately stocked. In a column published over the weekend in Cuba’s state-run newspaper, Granma, Fidel Castro argued that the United States and Cuba must put aside their differences, if only temporarily, to combat a deadly scourge. He’s absolutely right.